Although I have no idea how we got from July to December, it now seems like this month is FLYING by! There’s so much I need/want to do, and such little time to do it in. Yikes! One of the things I’ve wanted to do better this year was show Hubby some Christmas lovin’, and not just focus on making it fun and special for our little superheros. 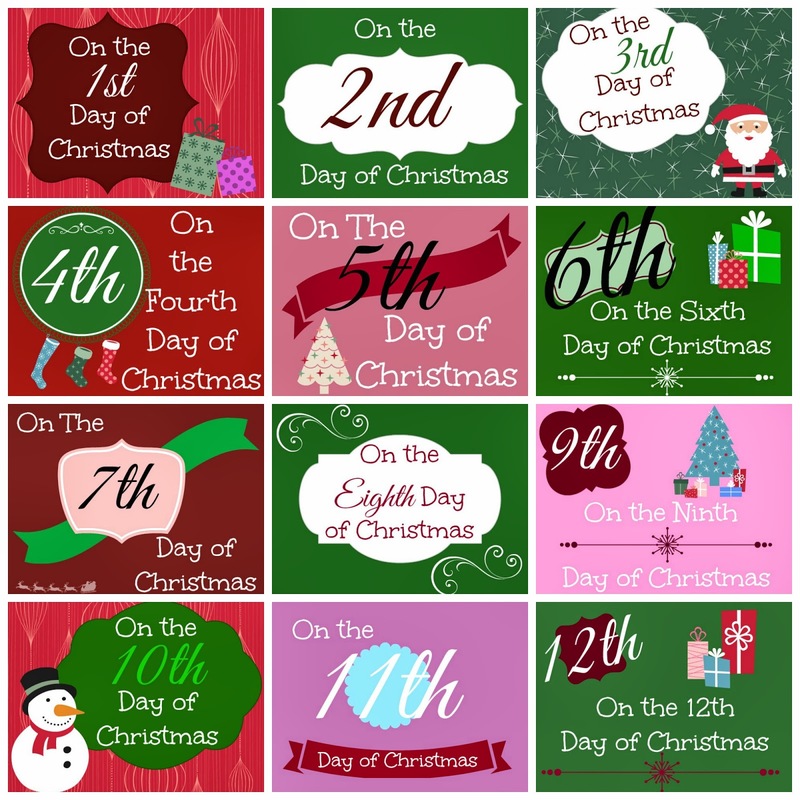 So we have The 12 Days of Christmas Printable Tags!!! I’m having so much fun picking out little (budget-friendly) yet useful/fun gifts to include with each tag. It prints nicely onto a normal sized cardstock page. I then just taped a bit of ribbon behind each, to tie the tag onto the gift with. And VIOLA – you’re done! Thanks so much, Cathy! It was really fun, yet simple at the same time. Thanks for these. Great idea and I have already starting planning and gathering small gifts for this.